We’re constantly hearing that classical music is in a state of crisis: struggling orchestras, aging concertgoers, a weakened recording industry. Sometimes I think it’s all a crock, or at least a substantial exaggeration. Whatever the challenges, the music is stubborn and continues to thrive in many ways. This year, like every year, I received many dozens of new classical recordings. Here are 10 that should stand the test: old works, new works and new works commenting on old works with affection and humor. 1. Hilary Hahn, “In 27 Pieces: the Hilary Hahn Encores” (Deutsche Grammophon): The violinist commissioned 26 new works from 26 composers — a bonanza of repertory, created in one fell swoop. (She also held a contest to find a 27th, and wound up choosing from among more than 400 submissions.) Brilliantly performed by Hahn and pianist Cory Smythe, the results are on these two discs — a grab bag of treasures. The composers include David Lang and David Del Tredici, Mason Bates and Lera Auerbach, Nico Muhly and film scorer James Newton Howard. I’m right now obsessed with Avner Dorman’s “Memory Games,” a sort of mad, mazelike tango that might have been conceived by Conlon Nancarrow. 4. Anne-Marie McDermott, Calder Quartet, “Mozart: Piano Concertos K. 414, 415, 449” (Bridge): Mozart was a practical fellow, suggesting that these orchestral pieces might easily be performed as chamber works, with just pianist and string quartet. And here they are in their rarely heard chamber versions. These intimate performances are evocative: One feels the play of shadow and light, the gladness, the sense of wistfulness and loss, like an afternoon of sweet rain. 5. Timo Andres, “Home Stretch” (Nonesuch): The 20-something composer’s new disc is both deeply felt and an elaborate creative sendup, with its “Recomposition” of Mozart’s “Coronation” Concerto and its “Paraphrase” of themes by Brian Eno. The music is lyric, humorous, at times surreal and always gorgeously crafted. Andres, at the piano, performs with the Metropolis Ensemble, conducted by Andrew Cyr. 6. 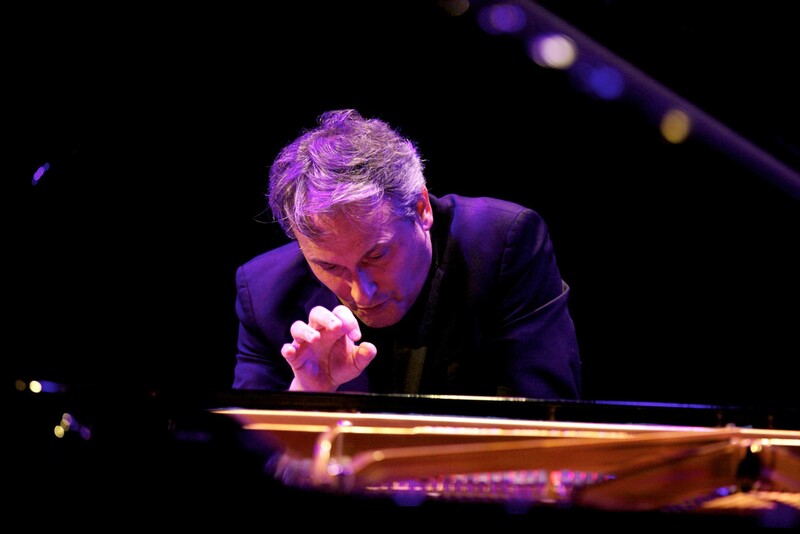 Jeremy Denk, “Goldberg Variations” (Nonesuch): The pianist unravels J.S. Bach’s “Goldbergs,” freshly revealing them in all their adjectival wonder: timeless, grounding, miraculous, whimsical. The CD is accompanied by a DVD on which Denk (a terrific gabber) demonstrates and explains. 7. San Francisco Symphony, Michael Tilson Thomas, “Beethoven: Cantata on the Death of Emperor Joseph II, Symphony No. 2” (SFS Media): Recorded last May at Davies Symphony Hall as part of the orchestra’s “Beethoven Project” festival, this recording should hook you, even if your shelves are jammed with Beethoven competitors. Symphony No. 2 is buoyant and zipping, a streamlined performance that’s full of heart — and those strings, full of color, come through dazzlingly. (Mea culpa: I was less impressed when I heard — and reviewed — one of the performances from which this recording is drawn.) With the addition of chorus and soloists, the Cantata, not often performed, erupts with the creative powers of the young Beethoven. He was just 19 when he composed this colossal piece, which points toward later masterworks. 8. Sarah Cahill, “A Sweeter Music” (Other Minds): The pianist and new-music champion corrals solo works by some of her favorite composers: Terry Riley, Meredith Monk, Frederic Rzewski, Kyle Gann, Phil Kline, Yoko Ono. The performances are singing, insightful, outrageous, inspiring. Don’t miss Gann’s “War Is Just a Racket,” with its speech-rhythm piano skipping and rag-timing alongside the recitation of a 1933 anti-war speech by U.S. Marine Corps Maj. Gen. Smedley Butler. 9. Daedalus Quartet, “George Perle: String Quartets 2, 5 and 8; Molto Adagio” (Bridge): The late composer Perle was a serialist, but don’t let that scare you. His compositions are filled with poetry: lyric themes and entwinings, shadowy moods. Among the most refined and courageous string quartets performing these days, the Daedalus Quartet brings Perle’s “12-tone tonality,” as he called it, into vivid bloom. 10. Michelle Makarski and Keith Jarrett, “Six Sonatas for Violin and Piano” (ECM): Yes, that Keith Jarrett. The violin sonatas are typically performed with harpsichord, but Makarski and Jarrett (in the footsteps of Menuhin and Gould) make it work with piano. These are clearly wrought and sensitive performances; engrossing. Contact Richard Scheinin at 408-920-5069, read his stories and reviews at http://www.mercurynews.com/richard-scheinin and follow him at http://www.Twitter.com/richardscheinin. ← BBC Music Magazine: Review of Philip Glass Cello Concerto No. 2 ‘Naqoyqatsi"